Government Unit for K-2 Social Studies!! Aligned with K-2 standards for Social Studies and ELA. Use with older children as well! 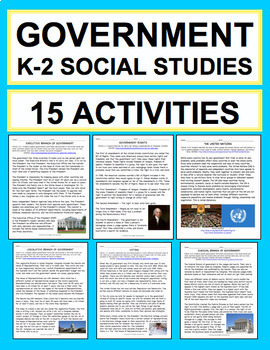 15 activities cover every K-2 GOVERNMENT standard! 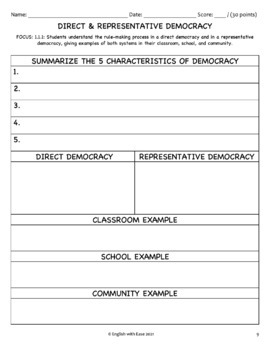 Teach: direct vs. representative democracy; branches of government (legislative, executive, judicial); voting; bill of rights; united nations and more! - Bill of Rights: Read About it! 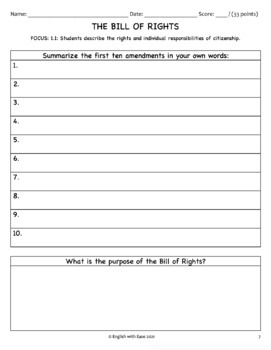 - Bill of Rights: Write About it! - Direct vs. Representative Democracy: Read About it! - Direct vs. Representative Democracy: Write About it! - Voting: Read About it! - Voting: Write About it! - Executive Branch: Read About it! - Executive Branch:Write About it! - Legislative Branch: Read About it! - Legislative Branch:Write About it! - Judicial Branch: Read About it! - Judicial Branch:Write About it! 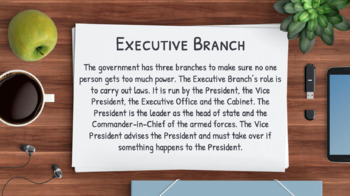 - 3 Branches of Government: Write About it! - The United Nations: Read About it! - The United Nations: Write About it!